Adds a menu bar icon for your cloud storage accounts. 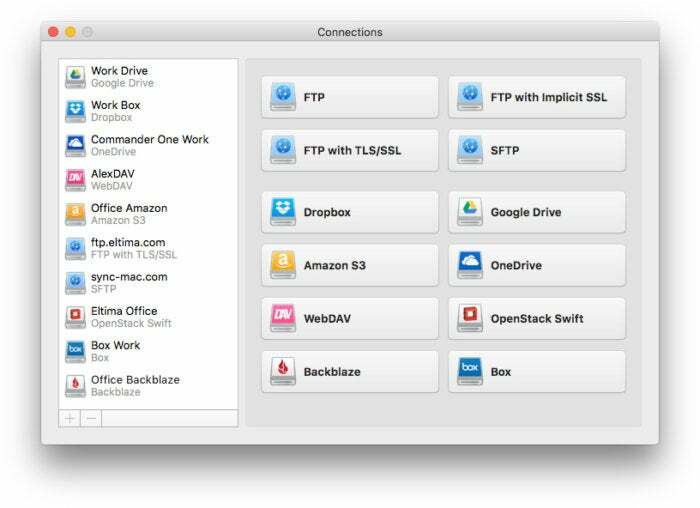 Mounting cloud storage on the desktop is a great idea with a few inherent limitations built in. Bandwidth is the principal concern, because even the speediest internet connections available to consumers aren’t nearly enough to transfer gigabyte-plus sized files as fast as attaching external hard drives to your Mac. Be that as it may, applications like CloudMounter remain a worthwhile utility if you rely on cloud storage. Plenty has changed since we reviewed the original release of Eltima Software’s promising CloudMounter in 2016. 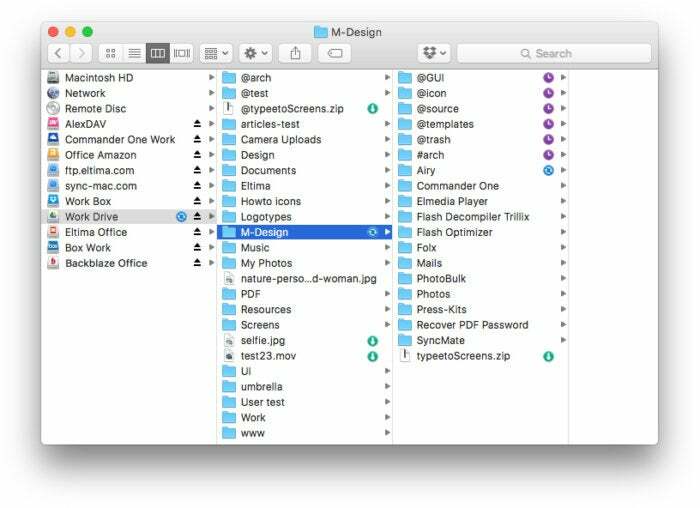 For starters, this ingenious menu bar utility is now free to download and use - as long as you can get by accessing a single Dropbox, Google Drive, or Microsoft OneDrive account, that is. If you want to access multiple cloud accounts or other services like Amazon S3, FTP/SFTP, WebDAV, or Box, you need to pay an additional fee. You can download CloudMounter from the Mac App Store, which has the limitation mention above. Or you can pay $9.99 every three months or $29.99 annually for unlimited connections. Not a bad deal, but if you’re the old school type who would rather buy once and own forever (or at least until the inevitable version 4.0 comes along) we’d recommend bypassing the Mac App Store and heading straight to the Eltima website to purchase a perpetual license for $44.99. Eltima also offers a fully functional 15-day trial version for those who prefer to try before buying. Unique, colorful volume icons and easy menu bar access make CloudMounter a joy to use with favorite cloud storage services. After installing CloudMounter and logging into one of the aforementioned accounts, your remote storage appears as a volume with a colorful icon on the desktop, which can be used to drag and drop files just like local hard drives. How fast transfers are made depends entirely on the speed of your internet connection. During testing, smaller files behave more reliably than larger ones. Status icons make it easy to see at a glance which files are still transferring in Finder windows. Version 3.2 also introduces the feature we’ve been pining for most: Mounted cloud volumes now automatically appear in the Finder sidebar like regular drives without having to be manually added. 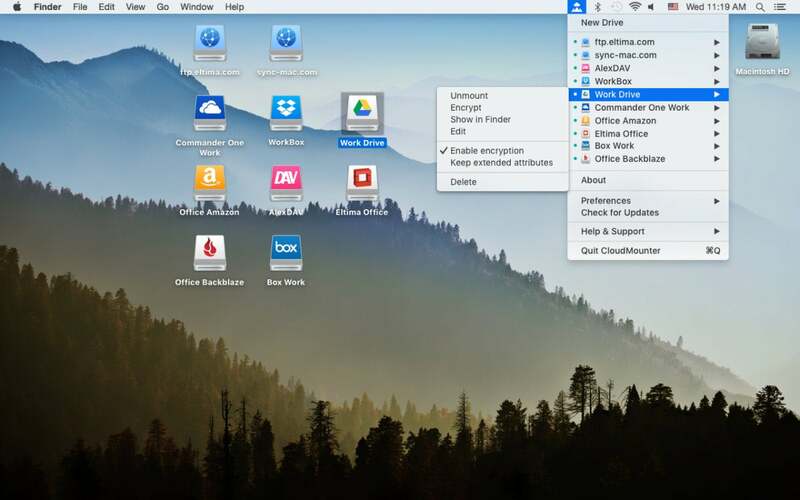 This is something rival ExpanDrive has done for years and we’re not sure what took so long for Eltima to embrace the Finder, but CloudMounter is a better application for it. ExpanDrive does retain the upper hand when it comes to diversity-Amazon Cloud Drive continues to be notably absent from CloudMounter’s storage lineup, as are SMB/CIFS and ownCloud; also supported in the former are off the beaten path cloud providers like DreamObjects and hubiC. However, niceties like CloudMounter’s ability to select a custom location for storing cache files evens the playing field a little. Adding new accounts is a snap, but there's still no Amazon Cloud Drive or SMB support. It took a few versions to get there, but CloudMounter can finally be considered a worthwhile contender to ExpanDrive in terms of reliability and functionality.